WiLine's fiber based network uses 21st century fixed wireless technology for last mile delivery directly to your building, this insures the quickest time to install, the fastest available speeds and lowest possible latency. Our network is engineered to deliver 100% thoroughput and guarantee 99.99% uptime, all backed by leading SLA. Why Fixed Wireless over Fiber? Most businesses in Los Angeles, have connection speeds in the 20 Mbps to 500 Mbps range and Microwave Fixed Wireless can easily deliver those and much higher speeds with similar reliability to Fiber Providers. A Fixed Wireless Internet solution will deliver lower latency when compared to Fiber which in turn will give you a better internet experience and higher quality VoIP communications. Another way we are faster is through our installation times, which are much faster than other providers, usually measured in days not weeks. Are mission critical parts of your business Internet dependent? If so you need to think of the reliability of your connection as a major deciding factor. One of the downfalls of Fiber Optic Networks is that these run underground and are vulnerable to road works and weather deterioration. Maintenance of these lines is often costly and complicated and restoring service in the event of such occurrence can be very time consuming and costly for your business. On our WiNet Business Plans we offer a 99.99% Network Service Availability Service Level Agreement, but we go even further, our team of network engineers pro-actively monitor our network 24/7 to ensure any issues we encounter are addressed before they even impact your business. If you are not in an area served by Fiber, the costs involved in bringing Fiber to your location can amount to many thousands of dollars. If you choose a Microwave Fixed Wireless solution, all you need is line of sight to one of our network nodes and the installation costs are much, much lower. WiLine is able to lower your current price by 10% while delivering 25% more bandwidth. Get a quote today. With just a phone call we can change your bandwidth to the ever changing requirements of the modern business. For example, you are hosting a large event with many delegates and have increased requirements for bandwidth, we can temporarily or permanently increase your bandwidth to ensure everyone is connected smoothly. This often can be achieved within minutes. This type of scalability isn't as simple with a large number of other Internet Service Providers in the greater Los Angeles area. Our goal is to find out what are the challenges in your business and how we can assist you in overcoming these. The end goal is that you come out of this talk with a product that is right for your business. Los Angeles and Orange County launched in 2013 and is now our second largest metro area in total area covered and network certified buildings. 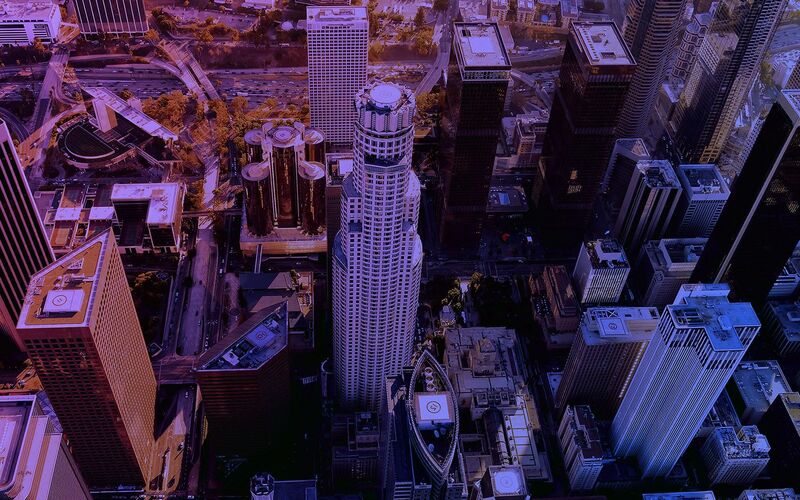 In L.A., WiLine deploys its high speed business internet service using next generation Fixed Wireless technology and a mesh network topology which offers redundancy and reliability second to none. Our Business Internet Services offer speeds from 1 Mbps all the way up to 10 Gbps with latencies of under 10 miliseconds and network service availability guaranteed to be a industry leading 99.99%. We can deliver virtually any bandwidth you require and our installation times are usually measured in days not weeks. We constantly expand and upgrade our network structure. Why not check if your building is covered? The areas listed above represent the reguions with higher population density where WiLine's Internet Service is available. While WiLine also provides cover outside of these areas, in order to certify that service is available to your building a survey may be required. To find out if our High-Speed Internet Service are available to your business, please Click Here. WiLine delivers High-Speed Internet and Event Services to meet the needs of any business, at the best rates. We are the fastest growing communication service provider in our markets, bringing businesses a true alternative for High Speed Internet Services.